Harrah's Entertainment operated the casino called Caesars Palace at Sea that was situated on Crystal Cruises ships. The lasts are fabulous and luxury two ships which are larger than most part of their competitors. Actually, originally it was run by Las Vegas Caesars Palace, but in spring, 2006 Crystal Cruise line held the process of ownership of casinos. Crystal Cruises used to be the only one line that collaborated with giant land based gambling company as Caesars. 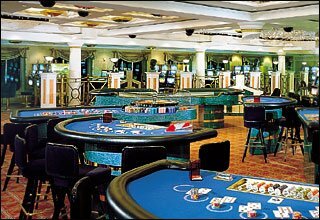 Every of its magnificent casinos feature over 85 various slot machines, roulette, dice, mini-baccarat, three card poker, blackjack tables, etc. Nowadays Crystal Casinos do not break the traditions and as well as things used to be when Caesars operated the casinos, they still offer complimentary drinks for all clients. 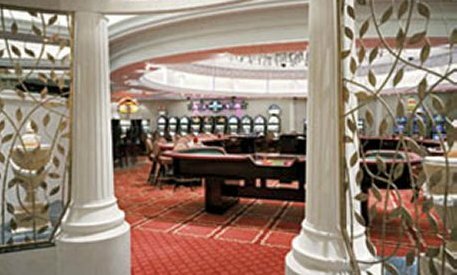 Caesars-at-Sea times bring a lot for now Crystal-owned casinos: it seems that almost all managers, dealers and other employees have been hired to Cristal from former Caesars. Moreover, the most loyal clients of Caesars have decided on newly made Crystal casinos. However, there are some novelties that Crystal Company has applied to casinos. There were lots of complains from players cruised on ships referred to old outdated slots on the Serenity & Symphony. Thus, Crystal has promised that those gaming machines will be finally replaced by modern and innovative models.